I have been thinking a lot about route planning lately, as have many other Seattle residents and commuters. This kind of route planning is always a critical consideration for motor carriers and their commercial truck drivers. And I have seen what happens when they fail in their duty to consider and properly plan travel routes. Obviously, there are significant differences between a semi-truck and trailer and a passenger vehicle, namely size and weight. If you fail to plan an alternate route to work, you might get lost, or stuck in traffic. But when a semi-truck driver hauling a heavy trailer slams into a bridge, people get hurt. 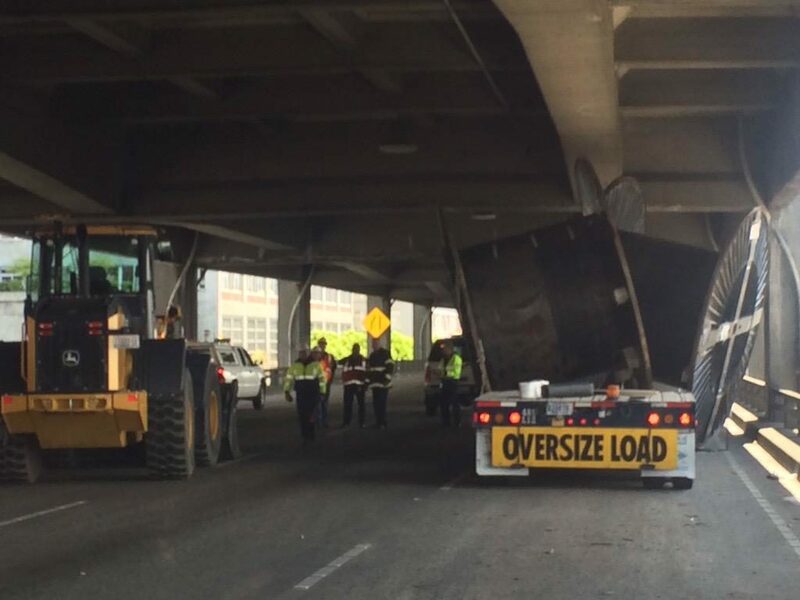 While moving an oversized load southbound on I-5, a motor carrier that specializes in hauling large loads, failed to consider a bridge that the load would have to cross. This was not an out-of-the-way bridge or one that was unknown. It’s a bridge on the major south-north interstate highway in the Pacific Northwest. The company’s drivers had crossed countless times. Also, the State of Washington has a website that provides specifics about its bridges and there are numerous other resources that are available to motor carriers and all drivers that provide details about highways, bridges and overpasses. An ordinary driver doesn’t need to consider bridge and overpass heights. But the law says that every motor carrier moving an oversized load must make a detailed effort to review the route of its driver to plan how the truck’s load can be safely moved. In my case, that didn’t happen. Because of this failure, the Skagit River bridge collapsed into the river below and my client suffered serious injuries. My firm, Coluccio Law, represented a young man who was on the bridge as it dropped out beneath him. While it is rare to get a motor carrier to admit its failures, in this case, we proved that the assignment to move oversized load was “last minute”. The driver was called to pick up the load with little to no time for a pre-trip route review. The motor carrier and the truck driver assumed that because they had moved an oversized load on this route and in the past, they didn’t need to check it again. The problem with that logic: the dimensions of this oversized load were critically different. No one checked the Washington State website for height measurements. No one reviewed the detailed of the route. And, no one considered which lane over the bridge provided for safe clearance. As a result, a bridge collapsed and my client suffered serious injuries. For commercial truck drivers, preparation that includes route planning can prevent disasters. As I watch semi-truck drivers navigate around construction traffic in Seattle, I wonder how many have done proper route planning—and how many are just winging it.